I Actually Woke up This Morning Thinking I’d Arrived, I’m Well . . .
I’m learning plant medicine lately and herbs are seriously helping my healing along now. It’s really revelatory and wonderful. I understand now why shamans, etc., talk about plant spirits . . . it truly feels like an intelligence permeating my consciousness with its own . . . the merging of the different consciousnesses is a synergistic healing experience. Being hypersensitive is actually fun at these times . . . it’s like I’m tripping all the time (mildly and in a good way) . . . and it’s all tons of really good, informative data that aids healing and produces insights about life and living in general. I would not have tolerated any of the herbs I’m using now the first several years after getting off the drugs . . . and in fact it’s likely I would not have tolerated them six months ago either. Yes, one of the herb teas I’ve been drinking set me off pretty badly about six months ago. Also to be clear, I feel everything I eat on an energetic level. That is how the hypersensitivity registers in part. So every food, drink I ingest there is an energetic correlate. Nature, exercise etc also affects me this way. The thing is it’s all starting to make sense and not be so overwhelming and the herbs are helping in a huge and lovely way. I want to make a distinction here too. I don’t really think herbs are supplements . . . they’re medicine in the truest sense of the word . . . and I’m making tea . . . not taking pills. The herbs I’m ingesting are not taken like allopathic medicine either . . . it’s not daily popping or ingesting the same thing forever and ever . 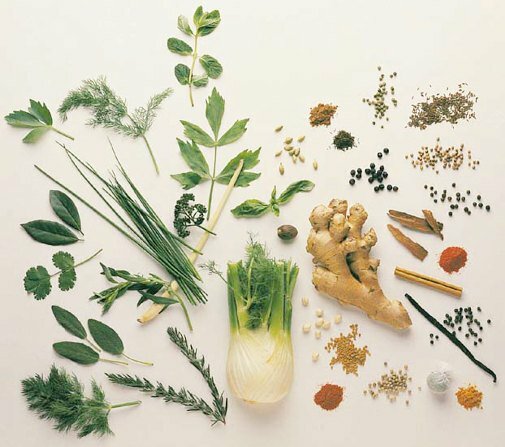 . . western medicine is so far removed from this that when people use herbs they often use them within the inflexible and toxic framework of western medicine. That is a shame really. Herbs are medicine just like food is medicine really . . . this is Mamma Earth in action. Mamma Earth will nurture all your needs in a most beautiful and gentle way. We need to learn to listen. And just like a good diet when it comes to food, medicinal herbs should not be eaten every single day ad infinitum. Variety and moderation is important in all things. Right timing is also important. Learning to intuitively understand the body and its needs is important. I actually woke up this morning thinking I’d arrived. I’m well . . . even if still sick in some regards. Perhaps from the outside looking in I’d be perceived as still ill in many regards. I have many practical limitations. I remain unable to make most commitments that most people take for granted, for example. But from my standpoint I’m well. I’m in touch with what I need to do to live and thrive and be happy…that is being well as far as I’m concerned. I know what I need and I know what sort of boundaries and limits I need to make for myself. This is good stuff. It’s my brother’s birthday today. The brother who died a few years ago. I’ve spoken of him on my blog many times because he was the only member of my family who could really see me. He always believed in me. That it’s his birthday today means a lot to me. This is like a gift from him . . . what he always knew about me realized. Happy birthday dear brother. I love you always. Beyond Meds: Monica Cassani has seen the system from both sides — as a social worker and as a person whose life was severely ruptured by psychiatric drugs. She writes critically about the system, as well as about holistic pathways of healing without medication. It is so good to hear you are feeling well, Monica; it has been a journey for many of us. Thank you for sharing your’s here. I’ve found food, herbs and oils to be helpful as well; I appreciate the book recommendations and ordered the last one you mentioned. So good to see you today! I know you’re familiar with the journey too…we all find our own ways, don’t we? I have been grateful for your companionship while we’ve done that. We do at that and likewise, Monica; I am very grateful for your company as we have traveled this path. I’m also glad you’re feeling better, Monica. And I am very grateful for you’re blog. Thank you. I believe trusting and respecting one’s instincts, as to what works for any individual, is of paramount importance. And think psychiatric “professionals” who dismiss one’s gut instincts and complaints of ADR’s to their “cures” are deplorable. Forcing any type of treatment onto anyone, for profit, is deplorable. I know you’re trying to help, and not forcing what works well for you onto anyone. Thank you for the advise. yes! at this point I can be grateful for how much I’ve learned about being a human being and individuating into one that can really respond to the crisis we all find ourselves in on this planet at this time. This has been good schooling if nothing else. following our own distinct path is where it’s at, yes. Lovely to see your words here Monica. As a fellow plant lover and herbalist,, I see how powerful herbs and the natural world can be for helping people to heal. One of the most powerful ways that herbs can heal is by helping people to engage their five senses in the here and now. When people are struggling with anxiety, depression, confusion and negative thoughts, simply connecting to the plant world can bring one back to their center. Smelling rosemary growing in the back yard. Infusing a bath with lavender oil. Sipping a cup of lemon balm tea and really tasting it and feeling its effects. Seeing a forest full of green leafed trees. These are all ways to stimulate the sense and engage the process of healing. So I am heartened by seeing your words here. We need to get away from the idea that strong overwhelming drugs with powerful side effects will improve the health and well being of people in distress. Sometimes the simplest, most subtle and ordinary weeds and plants in our backyard can offer a pathway to greater happiness. thank you Jonathan! it’s been a delight to come to know you a little bit here on Mad in America where we find so many kindred souls. ‘Abandon all hope ye that take this pill.’ –not Dante or at the beginning of The Inferno. Hope is probably the state of mind of the person who first ventures into the office of a psychiatrist. “The Catechism of the Catholic Church defines hope as “the theological virtue by which we desire the kingdom of heaven and eternal life as our happiness, placing our trust in Christ’s promises and relying not on our own strength, but on the help of the grace of the Holy Spirit” (CCC 1817).” Well, probably not that hope but a cousin of it. This definition could be modified to produce a secular virtue–desire for mental well being and placing our trust in a pill or two or more and relying not our own strength but on the help of the pharmaceutical company. Should I have put the psychiatrist in place of Christ? It’s an ambiguity. In any case we might next turn to Dante. The Inferno has some wonderful poetical sketches of the various places of suffering in hell. These too could be secularized and made available to the mentally ill. The aforementioned pills could be Virgil who will guide one with safe passage through this place of damnation and into Purgatory, “death’s second Kingdom. And so to Paradiso. Unfortunately for you whoever you are the Virgil of the drug story gives out before Purgatorio is reached–probably in the 9th Circle of betrayal. And how appropriately. Herbs on the other hand make no grandiose promises. In Original Wisdom we are even told that they speak to one who is receptive and tell what they can do. They do not lie. They have no ambition but to be. that we might all learn from that. Monica, this is wonderful news!…I think. Our family was in Venezuela during the revolution and the bombing of the capital city. When we returned to the USA, one family member had flashbacks and was captured by the psychiatric system. After 15 years of the system, he was able to break free. When I woke up one morning and realized that he was now free, we discussed how freedom was going to be a difficult state of mind…can old dreams live again, how to recover financially, do you identify openly as a psychiatric survivor, etc.? I wish you the very best on your journey! I dedicated many of the 15 years searching for alternatives, including an encounter with Findhorn. I am not very sensitive but I was very interested in the healing of the plant/human relationship. I tracked the idea of plants “speaking” for some time. I finally found an ethnographic study which reported that a Native American shaman was asked what a plant sounded like. He responded, “Heh Ya, Heh Ya, Heh…” I should have known…it is vibrational! thank you for your comments RISN. can old dreams live again? I’m sure they can! I only have new dreams now, however 🙂 … because this has been a thoroughly transformative experience for me. I have come full circle. I am grateful for this life…every bit of it…such as it is. I would not be who I am without my experiences…and life is wondrous just as it is. So pleased to hear that your loved one also is finding freedom. thanks again. Monica, thank you for this blog you share. I am learning so much…. gonna get one of Susan S Weed’s books and learn about natural herbs.